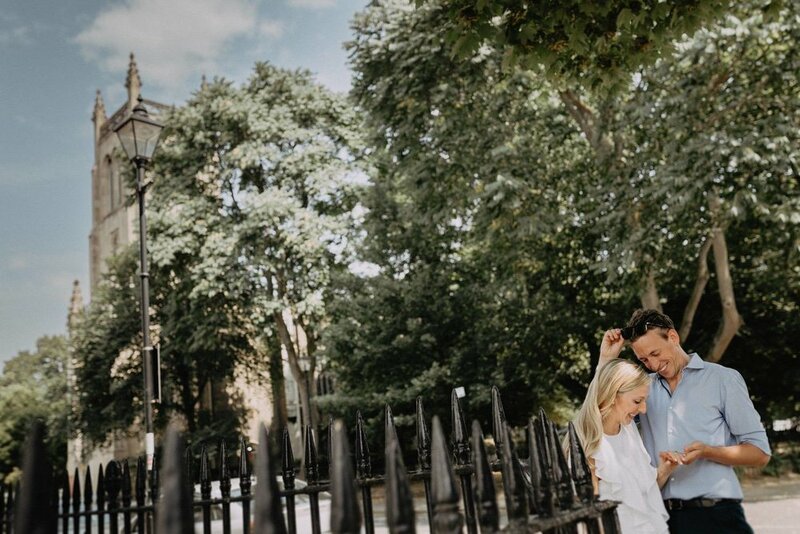 Islington Engagement Photography / Sarah + Luke. 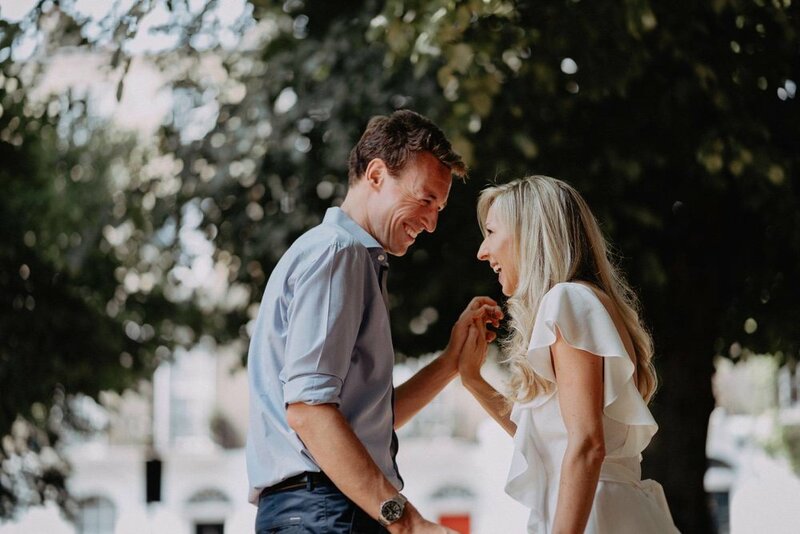 This was a lovely real engagement shoot with Luke and Sarah in their very charming home and surroundings in Islington, London. Luke told me that the ring Sarah had originally designed was not going to be ready in time, so they had a substitute. Surprise surprise, Luke had pushed the ring forward and he wanted to surprise her during their engagement shoot. We met in their local park in Islington and the sun shone hot amongst the movie set piece streets they called their home. The stories of films and series's such as Fergie, and A Street Cat Named Bob, taking over the streets were so indulging. As Luke went home for a moment to get his sunglasses; there was a trickle of light throughout the trees that Sarah basked in just for a moment. Little did she know the shot I was getting below. 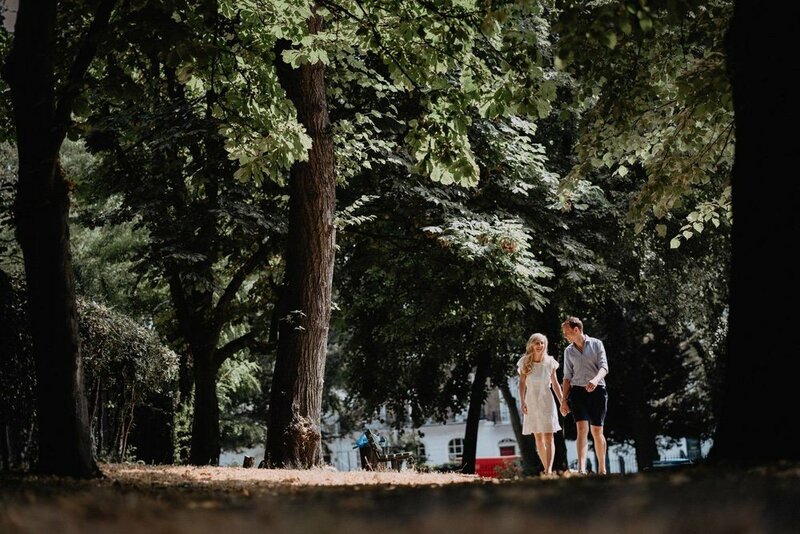 Luke and Sarah wanted their engagement shots to be personal and meaningful, laying context and memories to what was soon to be an old residence as they were moving to pastures new. The locations were the church, the park, and the streets of Islington, adorned by characteristic Victorian terraced houses with their black cast iron gates and rich, distinctive coloured doors. All the charm and essence of the area. After a few warm up shots and a bit of mingling conversation Luke to all of our surprises got down on one knee. Sarah was over the moon and both her and Luke were overcome with emotion. 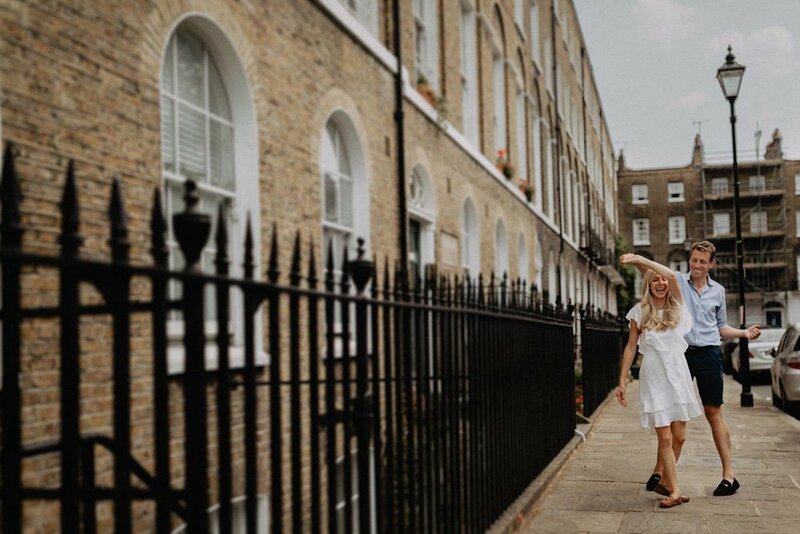 From this engagement shoot, I took away some love for Islington as well as feeling like I had bonded with two great friends. I think I captured the essence of Luke and Sarah and the beauty of their home here as some amazing memories.